My beautiful friend Priya deserves all the credit for this recipe, she gifted it to me years ago and it has been a solid favourite in our house EVER SINCE!! It is a fantastic, easy recipe to make with the kids to give them a huge calcium, protein boost with the goodness of milk and amazing coconut! Mix the above ingredients together well to form a firm dough that can be moulded in to balls, then roll in more coconut, refrigerate and serve. (They get firmer in the fridge, so if they are too soft, pop them in to the fridge for a while). Or another way you can use the dough, is to separate it in to two even portions and add 1/2 a cup of cocoa to one portion, put one colour dough between two sheets of cling film and roll it out to be even and flat and about 3mm thick, then do the same with the white layer, then place the white layer on top of the other layer so you have two even sized rectangle portions of dough on top of each other, ensuring you remove the cling film between them. Then using the cling film underneath the bottom layer to help, roll it up like you would when making a sushi roll, so that it starts to look like a coloured pin wheel roll. Then refrigerate until firm wrapped in the cling wrap to help keep its shape until it sets and cut in to thin slices – it looks so pretty and a very healthy snack for the kids! SO easy to make also, it is great for lunch boxes, snacks, and also great for mummies who need a calcium boost too! Thank you from the bottom of my heart Priya for sharing this recipe with me, it has been such a favourite and I love how yummy it is but how much goodness it contains, your sharing, generous nature inspires me to share with others too. 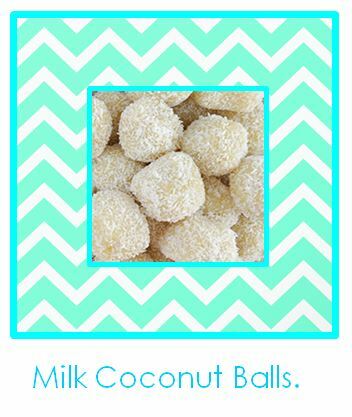 This entry was posted in Health and Wellbeing, Recipes and Meal Planning and tagged balls, calcium, coconut, milk, milk coconut balls, milk powder, pinwheels, sugar. Bookmark the permalink. ← Apple Cider Vinegar: It really is a Miracle Health System! You must try this for your health!